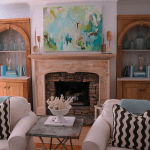 Kim, from Savvy Southern Style has a classic, colorful, warm but edited style. (and her Wow Us Wednesdays feature is always fun). She creates an elegant look and gets the most for the money (love that). 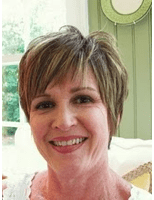 I was so thrilled when Mary Ann asked me if I could do a guest post in her pillow addict series. Then I stopped and thought to myself is she saying I have a problem? Who me? Okay, yes, I may have a slight addiction. Alright already, yes, I have a huge addiction. I can’t help it. I go straight to pretty pillows when I’m shopping. I just love them. Let’s take a look at a few. It would take a very looooong post to show them all. As you will see in my sun room I am not afraid of color. In fact I feel better in a home with color than without. I am also a big believer in mixing patterns. 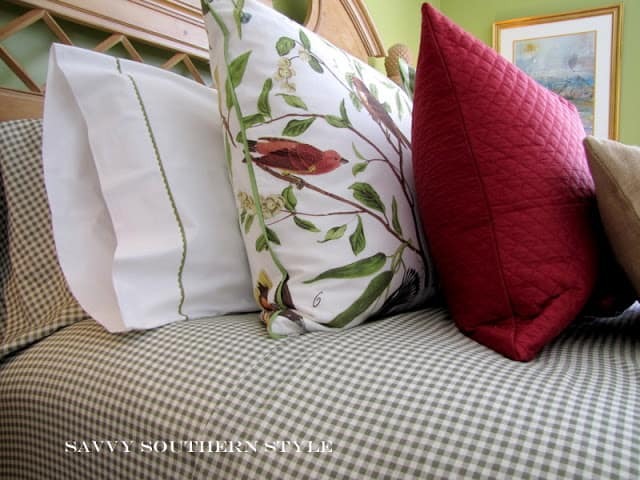 This is a mix of patterns on the bed in one of the guest rooms. Last winter I found these plaid flannel sheets and put them on the bed with some red velvet PB shams that my daughter gave me. I can’t wait to put these back on the bed. This is in the other guest room. And this is the same room in the winter. Such an easy way to warm up a room is by adding darker warmer color with pillows. 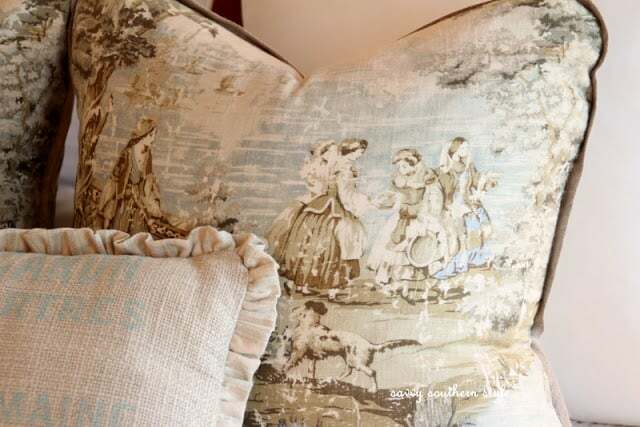 The toile pillows in the master are my favorites (I think) and I love that they are fat and overstuffed with lots of down. They are my favorite find from Scott’s Antique Market in Atlanta. 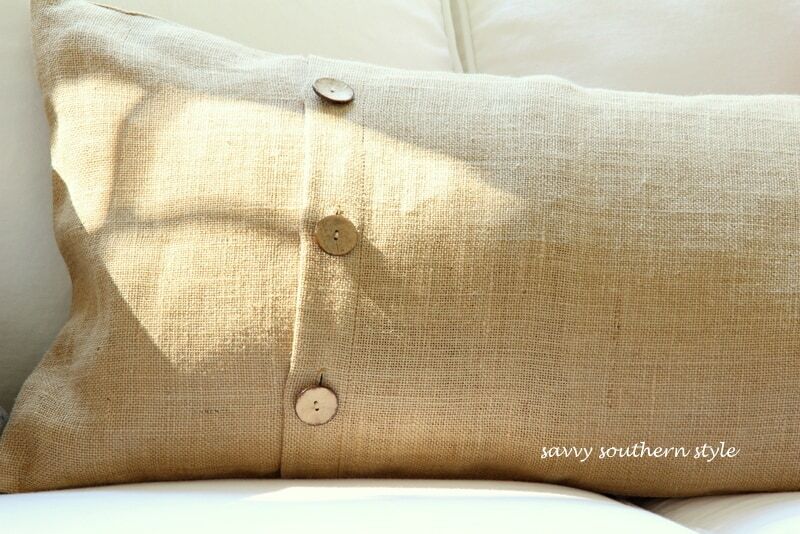 I love the texture and colors of this small pillow. Another favorite little pillow that I found at Scott’s. I love the mix of patterns in this room. 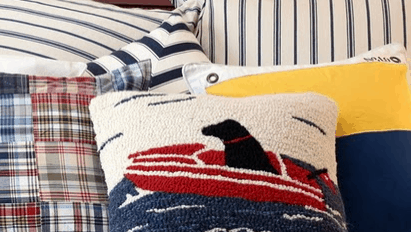 These are a couple of colorful pillows in the sun room. Another one with great texture. Love the button detail on this one. Most of my pillow covers are from Pottery Barn. They really do make nice ones and not bad prices either. They are so easy to change. Just unzip or unbutton and take off the old one and replace with a new one. Then fold up the ones you aren’t using and store them away to bring out another time. The easiest way to change up a room is by changing the pillows. There will be a few changes made for the cooler weather coming up. Thanks so much for allowing me to share my pillow addiction love. Thanks, Kim, for the great advice (and making me want to iron all my pillow cases). You have me thinking it is time to change my summer pillows for Fall. Speaking of which, check out Kim’s beautiful Autumn dining room HERE. Seeing Kim's house always makes me miss Atlanta! Her southern style warms my heart! Great series! Have a great weekend you two! So pretty and love the idea of changing pillows by the season. 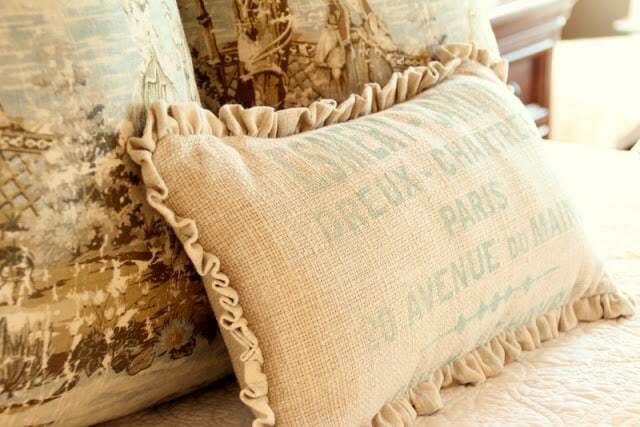 Yes its official….you are in fact a bonafide pillow addict, for a second there I thought I was looking at a post for a new pillow store in town:) BEAUTIFUL,….every single room likes right out of a magazine! 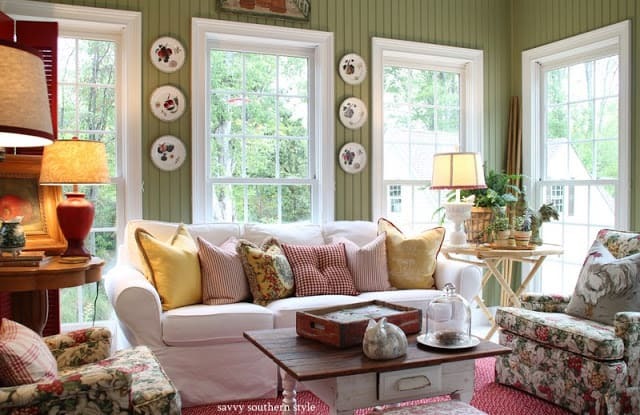 Your sun room, the guest room and your master…ahh, those pillows in the master are STUNNING!! 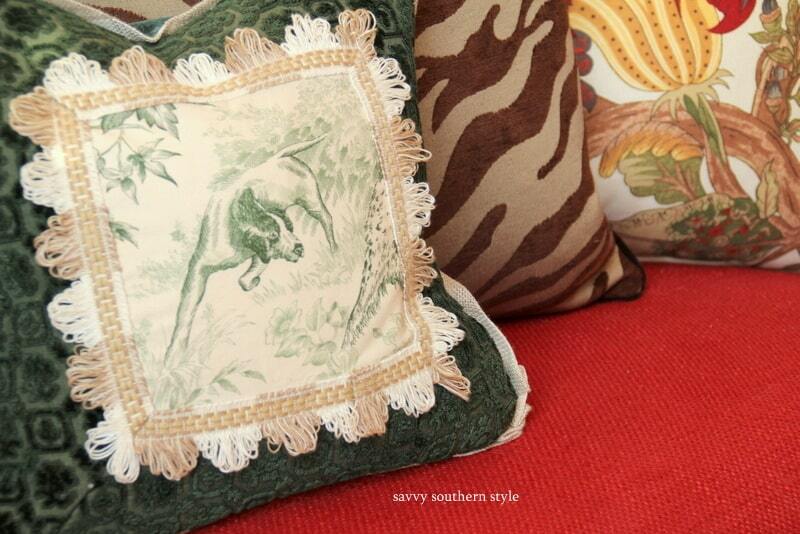 You have a well honed eye for beautiful pillows..that is fur sure! Thanks for sharing both of you. I, too, am a fan of Kim's as well as a pillow addict! I've got big Rubbermaid bins of them in my storage space that I change out with the seasons! Nice to visit your blog and I'm off to check out some of your other posts! Yes, Kim is the queen of pillows !! I love that she has so many different styles mixed together, too. I love your master pillows, great find! Kim's rooms are so warm and inviting! 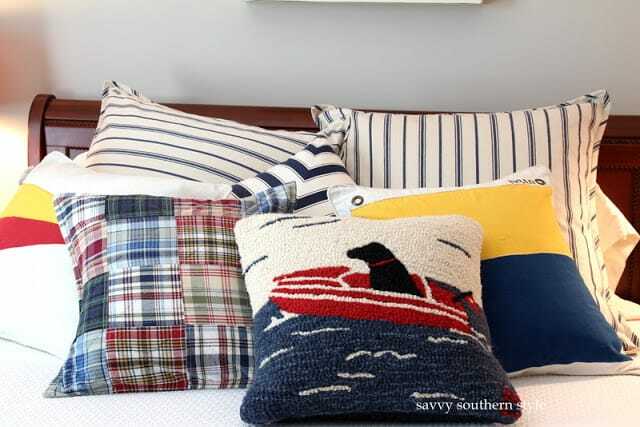 Love the mix of patterns she uses on her pillows. 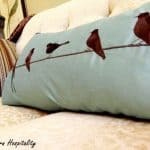 I just changed out some pillows for fall and love that I can change the feel of a room from light and airy to cozy with just a few pillows and blankets! Kim, you are in good company. There are a lot of pillow addicts out there. Your home is really beautiful and inviting. Thanks for inviting Kim to discuss her "addiction" Mary Ann. Lisa, Kim is such a creative and wonderful lady! She does have a pillow obsession! They are all gorgeous! 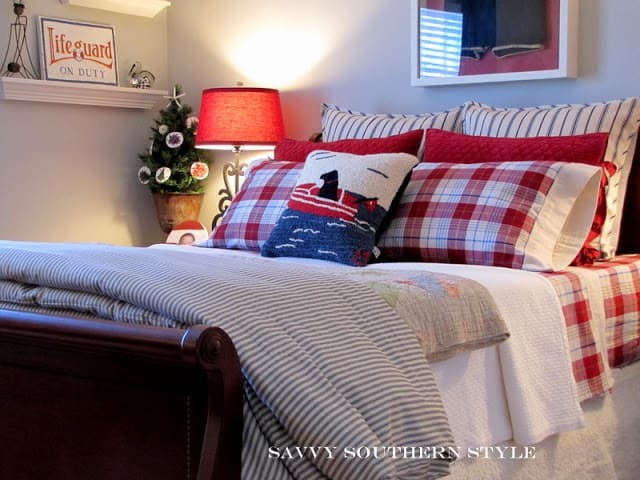 I am working on redecorating my son's room… more of a Ralph Lauren Americana and her guest room is such an inspiration! Thanks for this colorful, happy, full-of-ideas post! Kim is always coming up with new ways to decorate her home. Pillows are fun…I don't think I want to count mine either!! Great post! Such beautiful pillows! Makes me want to run out and buy some new ones! I love Kims blog and yours too what a great combination of you both. She's so right about the pillows. Hugs and happy weekend! 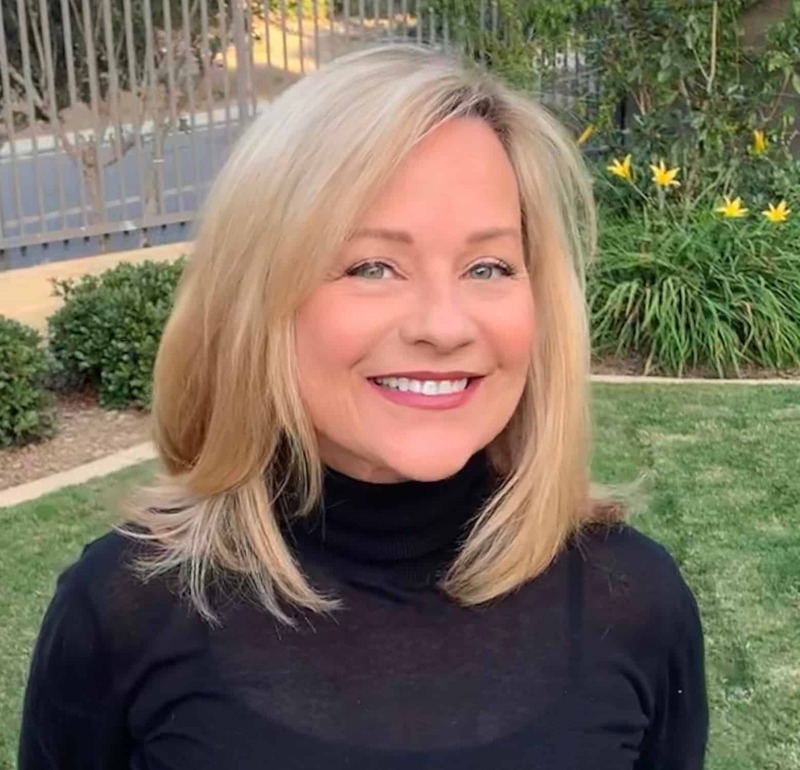 Mary Ann, Thank you for featuring Kim, I have been following her FOREVER!! 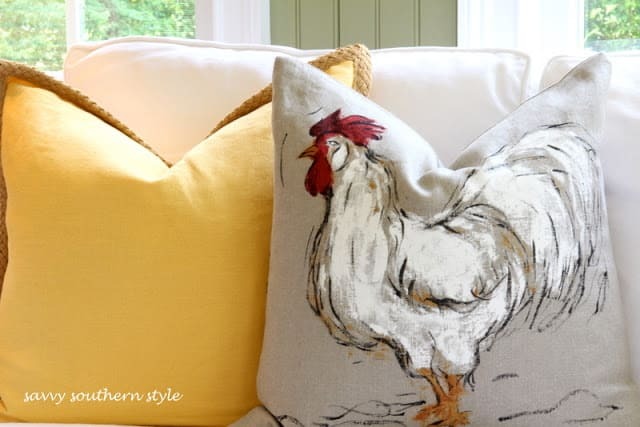 We both love Pottery Barn for Pillows and (especially if on sale) have several of the same! 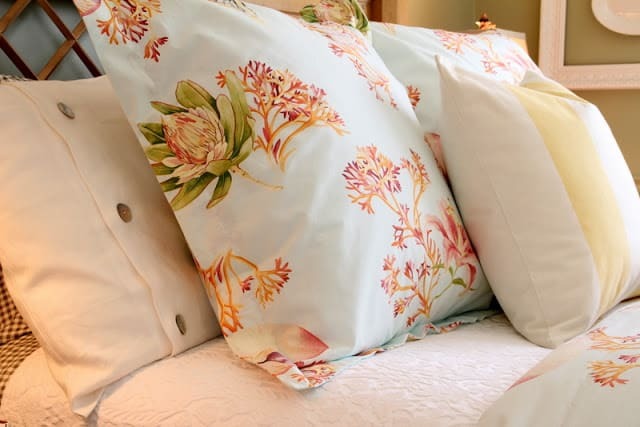 Other than paint which is a huge job, pillows are the easiest way to transform a room! I love your blog! Thanks for all of the inspiration. I'm your newest follower. You know I share your addiction to pillows! I should show pics of all the bags of pillows in my attic sometime. It would shock most people. Ha! Looking forward to seeing all your pretty changes as the weather cools off. You and Kim inspire me! Enjoyed the guest post. 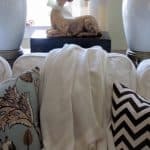 I love Kim's blog, and her pillows are always gorgeous! It's great seeing all the different looks. Thanks for sharing. Love the plaid. Pretty pillows here! I haven't gotten any from PB for the indoors. But I found some outdoor ones I love. You know, I have found I love my flannel sheets even in the summer. So soft! You have such a flair for mixing patterns! I must confess that I have a serious pillow addiction myself and most of you know it. Kim's style is really great and you are so right, she keeps it edited so perfectly. Kim has such a charming home. Her pillows make me smile, and yes, they do multiply. Such awesome pillows! Each is so interesting. Love the mix of patterns. I am positively salivating over these pillows. If someone wasn't a pillow-freak before, they will be now! Thanks for a beautiful post. Thank you for presenting such a livable home! Aren't Kim's pillows lovely? I love her advice for swapping them out…and PB is such a fun place to find just that right pillow cover! Kim has an eye for pretty pillows all right and I love the way she mixes them together. Great post Kim! Love the mix of pattern, textures, and color. Those pillows definitely add coziness in your home. So fun! I love the toile pillows. I must find a way to get to Scott's sometime when I'm down south. I love your master pillows, great find! 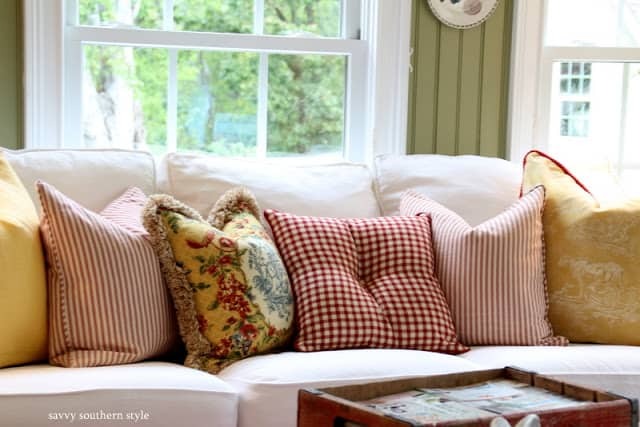 So pretty and love the idea of changing pillows by the season. Nice to visit your blog and I'm off to check out some of your other posts! Kim keeps me entertained on a regular basis with her home! She changes things as much [or more!] as I do. I love her style and she stays true to it. That guest room has always been a favorite of mine. Love all of her pillows and she is definitely a member of the prestigious "pillow addicts" club! 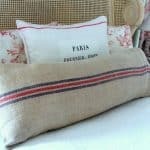 Hi Mary Ann, Kim has a beautiful assortment of pillows! Thank you for sharing and have a wonderful weekend.